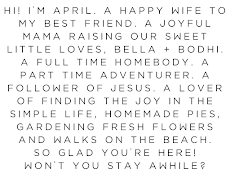 My mom and sisters are coming to visit for Thanksgiving (YAY! 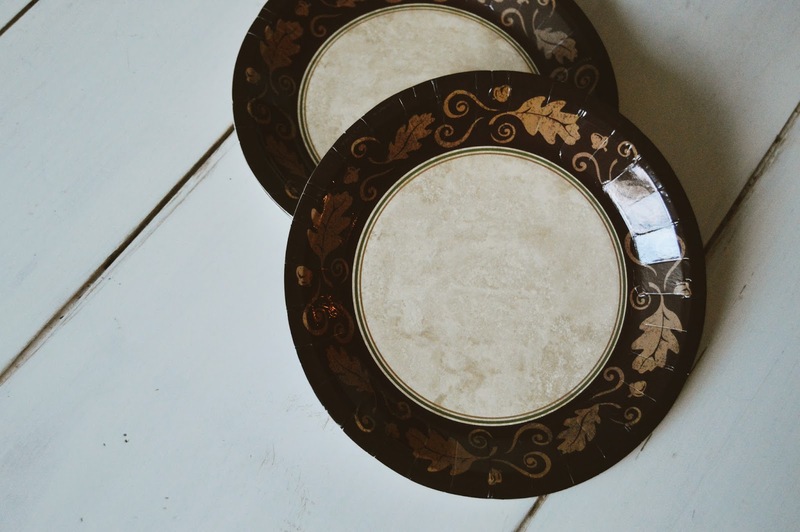 So excited to see them), and I didn't wan to have to be running the dishwasher or spending time hand washing dishes the entire time they are visiting, so I grabbed these lovely Thanksgiving Turkey paper dinner plates! 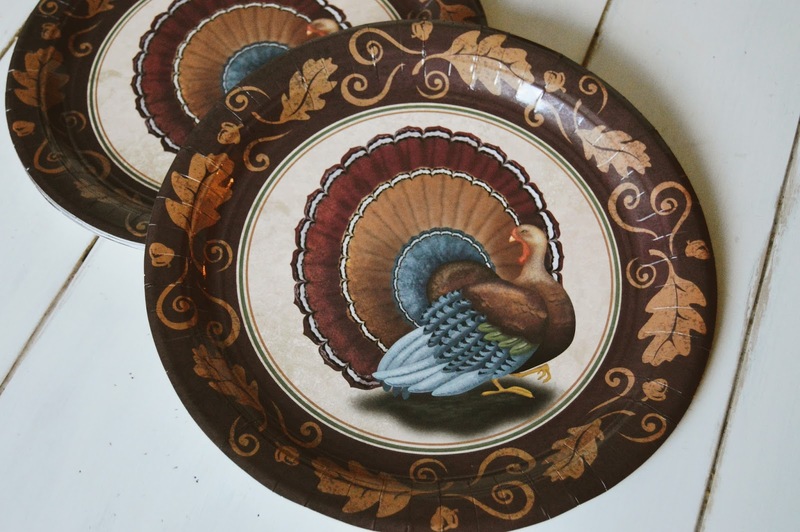 I just love the sophisticated turkey design and also made sure to scoop up the matching dessert plates (because pie happens at thanksgiving, lots and lots of pie), as well as the napkins and cups! I'm so excited to use these on Thanksgiving and be able to spend more time making memories rather than cleaning up. 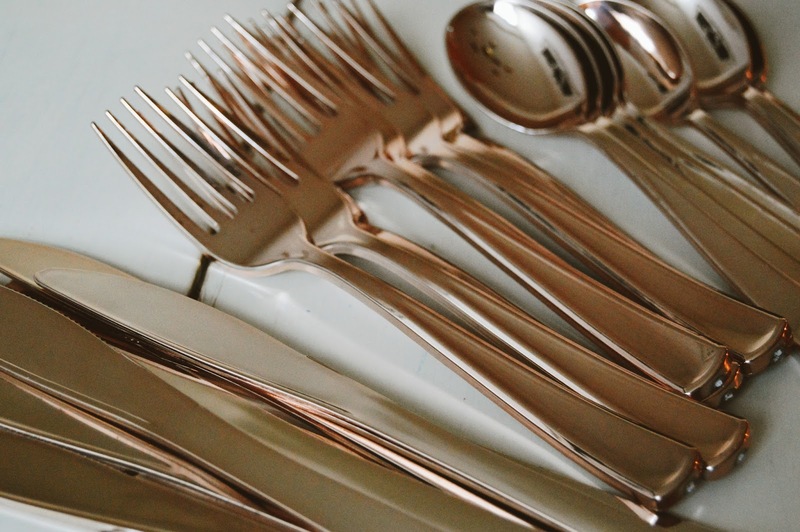 Another fun item I snagged, is this super sleek and shiny premium metallic copper cutlery. 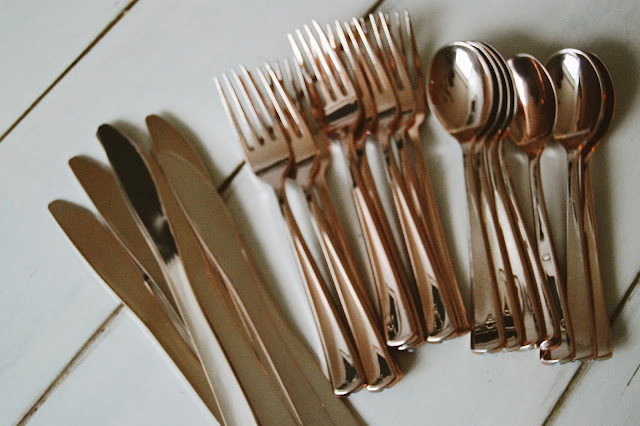 I just love the look of copper, and since our normal flatware is copper, I thought these plastic, yes, plastic, forks, spoons and knives would be perfect to keep that sense of normalcy yet keep it fun and utensil washing free (because let's face it, no one likes hand washing flatware). Since the prices are so good, I made sure to get double sets of everything so we could have extras and not run out when it comes leftovers time! 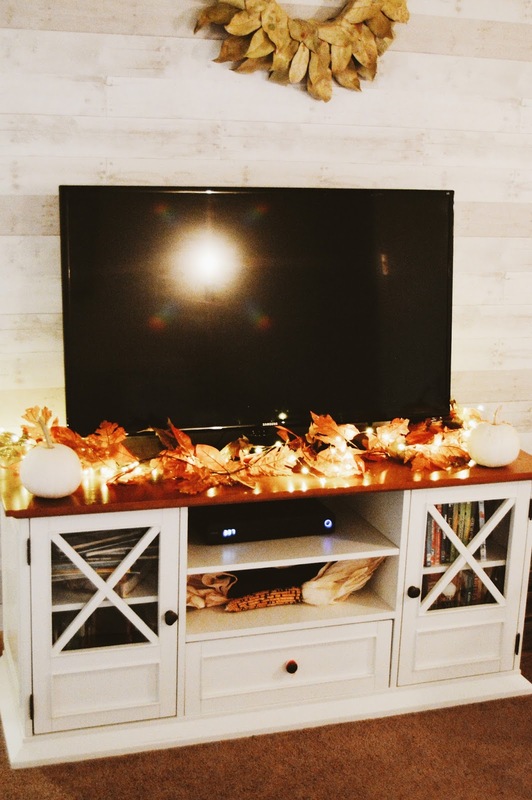 And of course, since decor is my favorite, it would'be be right not to pick up a couple new pieces of decor for Thanksgiving, so this pretty glitter maple leaf garland joined us! 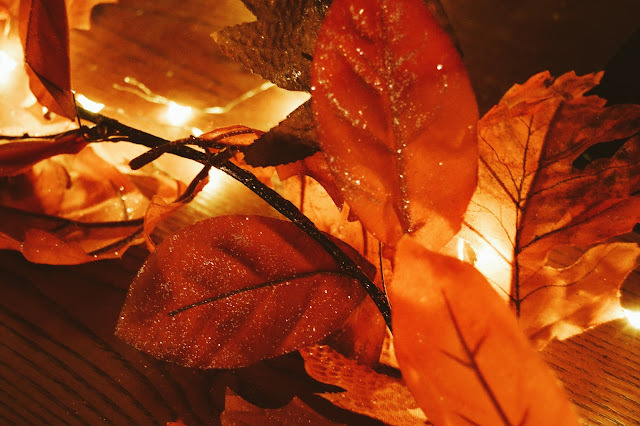 I paired it with a string of fairy lights for the perfect and most festive autumn glow and of course there are still tons of little white pumpkins around here. 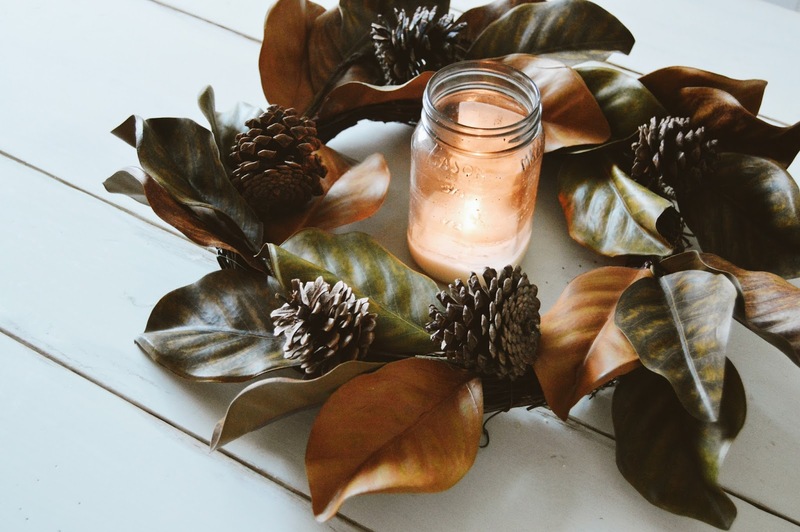 Last but not least, this magnolia and pine cone wreath was just too pretty to pass up. I love how it goes to well with all of our autumn decor, but will also transition so perfectly into Christmas for our holiday decor. 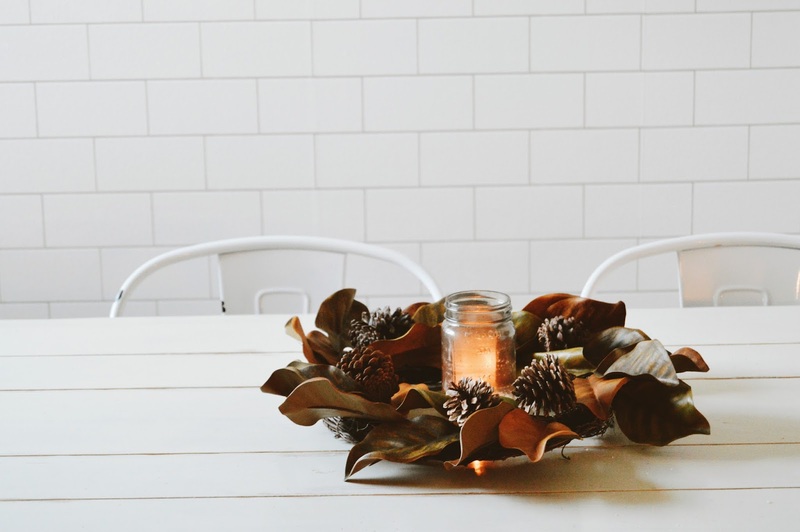 You can hang it up, or do what I've been doing lately, and sitting it on the table with a candle in the center. It makes the prettiest centerpiece! 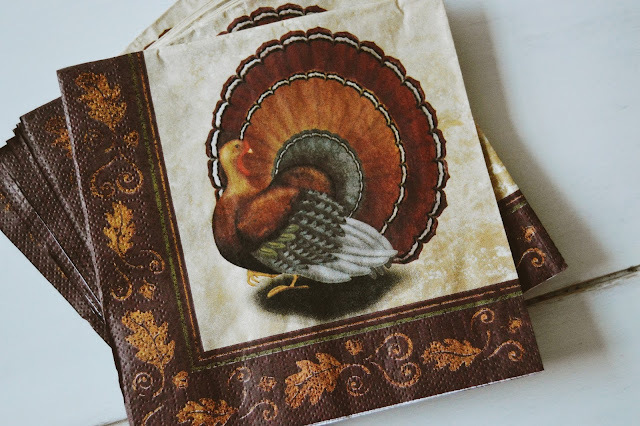 Thanksgiving is coming up soon so if you're hosting Thanksgiving this year, make sure and grab some of these products from over at The Oriental Trading Company! Happy (almost) Thanksgiving!